I AGREE with John Pfahlert (October 22) that democracy is great, it means people have the power to determine what does and doesn’t happen in their community. The people who depend on particular land and water resources have a right to decide what happens to them and Mr Pfalert may be disappointed that local opposition has almost nothing to do with the general election. While this oil and gas lobbyist tries to paint legitimate concern from affected residents as the work of “zealots”, the Gisborne residents’ petition simply asks the council not to allow any fracking to proceed before an independent report on the practice is presented to Parliament by the Commissioner for the Environment. 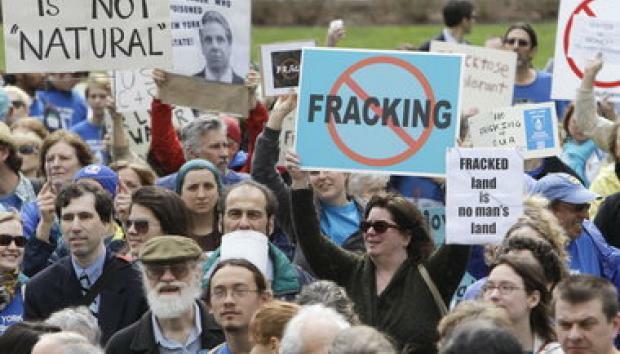 A number of local councils in the US have banned fracking recently, and subsequently been subject to lawsuits from the industry. It will be interesting to see what happens if Gisborne District Council decides to ban it. Mr Pfahlert says 40 wells have been fracked in Taranaki and the Taranaki Regional Council requires a resource consent before fracking can be undertaken. He omitted the fact that TRC have only required a resource consent for fracking since July of this year! Only after TRC were challenged by locals did the council seek legal advice, which came back that it should require consents. Mr Pfahlert also claims that “there has been no pollution of water or land in Taranaki from the discharge of fracking fluids”. But TRC has acknowledged no one tested the water when the casing on a fracking well (now owned by TAG Oil) ruptured underground a few years ago. Two “power fluid’’ leaks have been confirmed under the farmland of families locked in an ongoing dispute with a TAG Oil subsidiary. Similarly, TRC stopped monitoring for some contaminants on land where fracking waste had been spread, and an OIA request suggested the council doesn’t even know which chemicals are being used by some operators. Mr Pfahlert says almost all Taranaki fracking occurs “at least 2.5km below the surface” and “water producing bores in Taranaki are rarely deeper than 400m and most are shallower than 250m”. TAG Oil however confirm that they are fracking at depths of 1400-1800 metres. TAG also says the rock fractures up to 915 metres in any direction — much closer to aquifers than Mr Pfalert’s claim that the fractures extend only “a few tens of metres from the well bore”. I think they need to agree on what their “facts” are! Mr Pfahlert admits that many of the additives used in fracturing are toxic and says they are usually no more than 2 percent of the fracking fluid. Most fracking wells use 2-6 million litres of water — so they are using 40,000 to 120,000 litres of chemical concentrates. Given that fracking is a new practice here with no independent scientific studies, and it seems sparse regulation and limited monitoring, we should also look overseas to where the practice has been happening for some time. In a recent study commissioned by the European Parliament, scientists concluded that “at a time when sustainability is key to future operations, it can be questioned whether the injection of toxic chemicals in the underground should be allowed . . . as long-term effects are not investigated”. An independent study commissioned by British fracking consortium Cuadrilla Resources, published this month, confirmed their fracking operation caused a series of earthquakes along the Lancashire coastline earlier this year. Cuadrilla is now holding urgent talks with the Department of Energy and Climate Change (DECC), after the British Geological Survey’s conclusion that the two tremors were most likely caused by nearby fracking. So yes Mr Pfahlert, let’s have a debate based on the facts please.